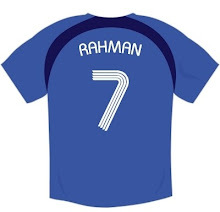 EMDAD RAHMAN - ALL IN A DAY'S WORK: "Where shall we walk today? Walking the Pennine Way"
"Where shall we walk today? 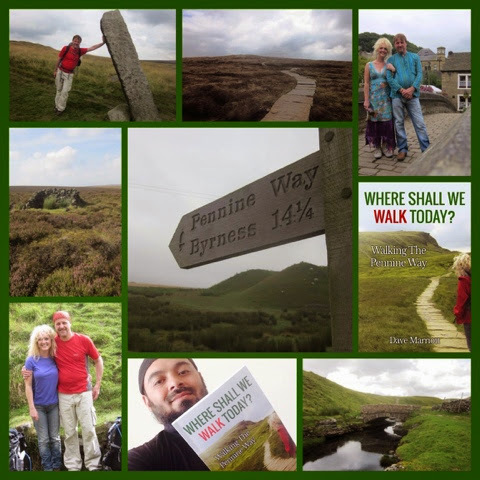 Walking the Pennine Way"
Emdad Rahman: As an avid walker I've recently enjoyed reading “Where Shall We Walk Today?” Walking the Pennine Way" by Dave Marriott. 52 year old Dave grew up in the 60's in a Derbyshire village. Long and leisurely countryside trips were part and parcel of the young people living and growing up in the great outdoors but an educational visit to Edale in the Derbyshire Peak District was particularly memorable and left a lasting impact on the amiable youngster. As the noisy party of schoolchildren set off walking through the village, Dave spotted a sign that read “Pennine Way”. Mesmerised by the beauty of the scenery, he vowed to return and explore this beautiful part of the country one day. And indeed he did, albeit some forty-two years later. “Where Shall We Walk Today?” is Dave and Diane Marriott's 267 mile leisure stroll from Edale to Kirk Yetholm in the Scottish Borders. Dave shares his birthday with Roald Dahl and was born and bought up in the small coal mining village of South Normanton in Derbyshire, where he still lives. In the book he draws parallels with modern children and their equivalent from yesteryear. Children spent time outdoors, were generally safer and Sunday afternoons were great for farmyard play days. Compare this to today's inactive generation and add to this the fact that for a variety of reasons parents are too tired or less inclined to encourage outdoor family activities and prefer physically non active leisure pastimes. I paid particular attention to how Dave dealt with injuries and hobbles during his trek. I also enjoyed the memories of East Underhurth Farm B&B which reminded Dave of the set of the Texas Chsinsaw Massacre. In the book Dave describes the benefits of walking, the pleasure, the sense of achievement in taking in and completing a tough walk and the enjoyment of being outdoors. A survey called Walking Works by The Ramblers and Macmillan Cancer Support states that physical inactivity increases the risk of many health conditions such as heart disease, type 2 diabetes, colon cancer and breast cancer. The report also states that just 150 minutes of moderate exercise every week would save 37,000 lives per year, prevent 6,700 cases of breast cancer, stop 4,700 people getting colorectal cancer and lead to neatly 300,009 fewer cases of type 2 diabetes in England alone. The book is dedicated to Diane who thought Dave was mad to do the trek and then joined him. “Where Shall We Walk Today?” is the story of how Dave’s dream came true when he and Diane walked all 267 miles of The Pennine Way during three weeks one summer. Join Dave and Diane as they scramble, stumble and stroll their way from Derbyshire to Scotland. As a walker I agreed with Dave when he writes of the end of the trek and when he and Diane are on the train home and they both start yawning. This is something they had not experienced in the previous three weeks of trekking. Diane reminisces of her job at a textile factory where employees yawned excessively and frequently in the afternoon due to tiredness caused by the lack of oxygen. Every walker - novice or accomplished will identify with Dave's narrative. There's a little in it for everyone. It's given me a spur ahead of my BUPA 10,000 run for London's Air Ambulance and the British 10k for the homeless of the Whitechapel Mission. Because of my Achilles damage it is likely that I will walk both but Snowdon last week and getting back on the bicycle has done me wonders. 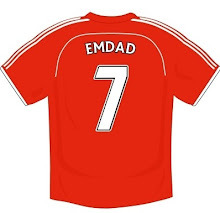 The book also nudges parents and adults to commence on a get active legacy for themselves and future generations. As Dave say's: "get your kids out there with you; the fizzy drink and crisp brigade are doomed." Walking boots required; blisters guaranteed! “Where Shall We Walk Today?” is available on Amazon for £10 or from Dave himself on 07534211312. Walking this trip through your eyes was pleasant, and also a learning experience. I have hiked many a mountain, and am left with the best kind of tired exhilaration ever. I commend and bow to anyone that can do a walk such as Pennine Way. Bravo Emdad, a wonderful read, very vivid, and exciting.